MAGICK RIVER: At long last... the launch of TANAH TUJUH! At long last... the launch of TANAH TUJUH! Completed the first draft in 1998... and it's taken 8 years to find a publisher who thinks the book is "excellent"! 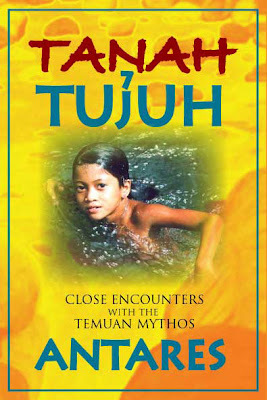 I'm very grateful to Raman Krishnan of Silverfish Books who decided to publish TANAH TUJUH ~ Close Encounters with the Temuan Mythos, thereby putting closure to Magick River's multimedia project for the Orang Asli initiated in 1999. Yeeehah!!! Phase One was Guardians of the Forest - a 52-minute documentary produced in 2000 by Mary Maguire and directed by Alan D'Cruz (and generously funded by Andrew Bird of Verado Films, Ltd). Phase Two was AKAR UMBI ~ Songs of the Dragon - a CD featuring the celebrated ceremonial singer Minah Angong and her funky ethnic fusion band comprising well-known local musicians. This 2002 project was made possible by a timely grant from the Japan Foundation. Phase Three: the launch of TANAH TUJUH ~ Close Encounters with the Temuan Mythos at 2:30PM, 29 March, 2007 @ Alexis Bistro, Jalan Telawi 3, Bangsar. I've edited a special 20-minute documentary for the occasion - hope Raman can arrange projection facilities @ Alexis Bistro! If you're able, please come and applaud... buy a copy of TANAH TUJUH hot off the press... have a cup of coffee... and celebrate with me!!! Antares is a writer, musician, and visionary who moved out of the city in 1992 and found himself living amongst the Temuan (second largest of the peninsular Orang Asli tribes) in the Malaysian rainforest, a few miles from Gunung Raja - a mysterious, mist-enshrouded mountain revered as the birthplace of a postdiluvian humanity. 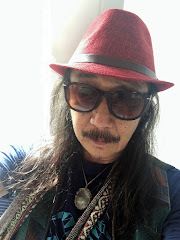 Tanah Tujuh: Close Encounters with the Temuan Mythos chronicles his initiation into a fast vanishing aboriginal cosmomythology that offers an alternative view of reality. Copiously illustrated with sketches and photographs, a Temuan Glossary, and a foreword by eminent anthropologist, Robert Knox Dentan. long time no see..since you left KKB to the woods ..where are you residing now? yo antares! we met at your book launch yesterday and you commented that you liked my face shape and i looked wild. hope i didn't misquote you, heh. just dropping by to say i've linked you. It was good seeing you at the launch, Nic. 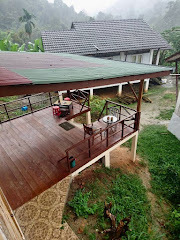 Pity we didn't get the chance to talk - but I'll check out your blog and begin a virtual chat :-)... let me know if you enjoyed 'Tanah Tujuh' OK? Thanks for the visit to the uncharted web space of HC SVNT DRACONES. I enjoyed the fabric space of mysticism; the Cthulhu Mythos is as close to that realm. With Temuan Mythos, I hope to uncover the substantial world of myth and history closer to home. Congrats with the book publishing. 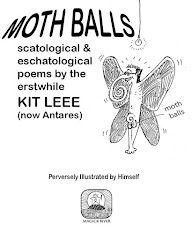 Props to the wonderful collection of journals and writings in this blog. Greetings, Fez! Dragons are cool, especially the Ancient-of-Days ones :-) Thanks for the courtesy call. Bling or ping or zing me whenever you post something far-out on your one-of-a-kind blog! Fave yours in my technorati. Cheers. By the way, is the "The hologram of heaven on earth" emblem in anyway was illustrated by Shahril Nizam of "pelukis melukis" fame. Love the simplicity in its abstract and natural wisdom. I'm all ears for symbology lesson. Art is my passion. A simple emblem like of your design is "entrancing" to say the least. The merkaba a part of a pentagram within a spiral of nature -- light (fire), river (water), stone (earth), vacuum (void and air). I'll return from my slumber. 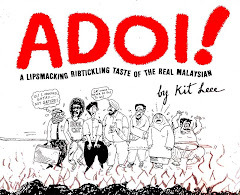 Sharon's Bibliobibuli and Dina Zaman's blog is my search light to the local literature world.